The turn of the century has seen the introduction into General Aviation aircraft what was once exclusive to large transport aircraft: advanced avionics. Today this technology is factory standard for production General Aviation aicraft. Termed Technologically Advanced Aircraft (TAA) or “Glass Cockpit” aircraft, these aircraft rely heavily on computerized systems for essential flight data, navigation, and communications. For these aircraft the required skills go far beyond those necessary to physically control the aircraft. Advanced systems knowledge, understanding, and management are essential to competently and safely operate TAAs. 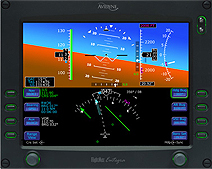 Various avionics manufacturers offer systems ranging from GPS units to Autopilot units to fully-integrated Glass Cockpit Avionics Suites. We offer training for three of the most popular and common avionics systems found in today’s modern General Aviation aircraft: the Garmin GNS 430, the Garmin G1000, and the Avidyne Entegra FlightMax systems. For each of these advanced avionics courses we offer three levels of training to suit the needs of our customers: Basic VFR applications, Advanced VFR applications, and Advanced IFR applications. The most efficient and effective way to learn these avionics units is to first extensively explore their features and functions, and gain proficiency in their operation through the use of personal computer-based simulators. Once the function of the units has been mastered in the classroom, these newly-acquired skills will be applied in the aircraft environment. Practical application coupled with scenarios will proceed until competency in integrating these avionics into the flight environment has been achieved. For more information on the Garmin GNS 430 unit, visit the Garmin website. | Official Garmin GNS 430 Website. The flight training will be conducted in our Piper Warrior III or Piper Archer III, both of which contain two Garmin GNS 430 units. On of our Piper Warrior II’s, N8234D, now sports a GNS 430W WAAS unit! From time to time we will run a day-long seminar on the Garmin GNS 430 avionics system when customer interest dictates a need. Be sure to check the Upcoming Events section of our website or our News Section for upcoming dates. For more information on the Garmin GTN 650 unit, visit the Garmin website. | Official Garmin GTN 650 Website. The flight training will be conducted in our Piper Warrior II or Piper Apache-Geronimo, both of which contain a single touch screen Garmin GTN650 unit. From time to time we will run a day-long seminar on the Garmin GTN 650 avionics system when customer interest dictates a need. Be sure to check the Upcoming Events section of our website or our News Section for upcoming dates. The new Garmin GTN650 is a state of the art touch screen GPS with tons of features including a moving map, airways, approaches, built in GPS/VOR/ILS/LOC and glideslope capabilties, graphical flight planning, and tons more! Not to mention, it is all touch screen! Fuel planning and vertical descent planning are very helpful features as well. For more information on the Garmin G1000 unit, visit the Garmin website. | Official Garmin G1000 Website. At Beverly Flight Center, we provide quality Garmin 1000 training in our RedBird LD Simulator. We also have a brand new 2015 Cirrus SR20 equipped with Garmin Perspective avionics along with synthetic vision! Check out our Cirrus SR20 N664JH. For more information on the Avidyne Entegra FlightMax unit, visit the Avidyne website. | Official Avidyne Entegra Website. The flight training will be conducted in our Piper Archer III, which contains the Avidyne system in addition to two Garmin GNS 430 units and a two-axis autopilot. From time to time we will run a day-long seminar on the Avidyne Entegra FlightMax avionics suite when customer interest dictates a need. Be sure to check the Upcoming Events section of our website or our News Section for upcoming dates.